Put away your “I can’t” attitude! Now just get out there and do it!!! 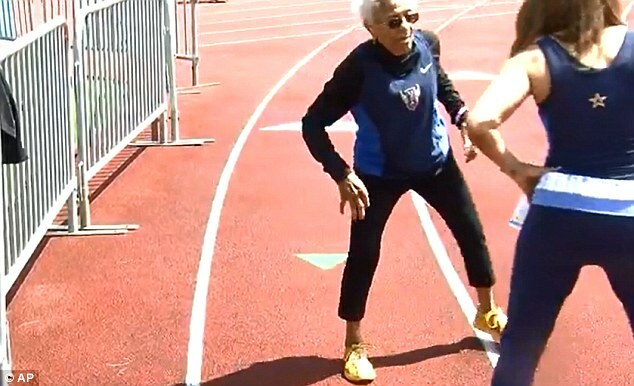 Read about Ida Keeling – 99 years old and making NO excuses! 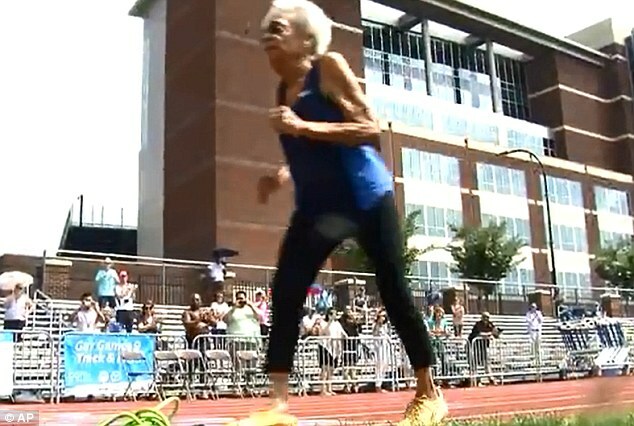 A 99-year-old running enthusiast has set a new 100-meter record for her age group, at 59.8 seconds. 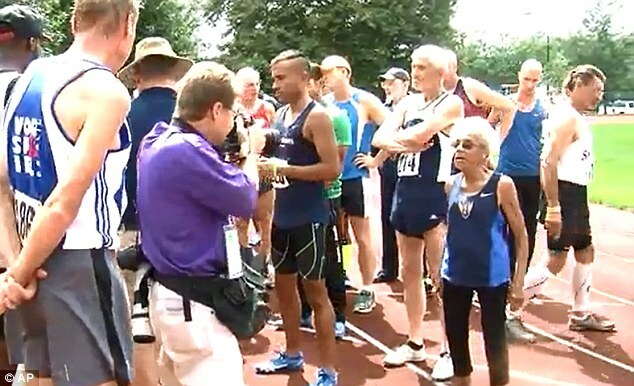 Ida Keeling from New York City achieved the feat on Tuesday at the Gay Games in Akron, Ohio. 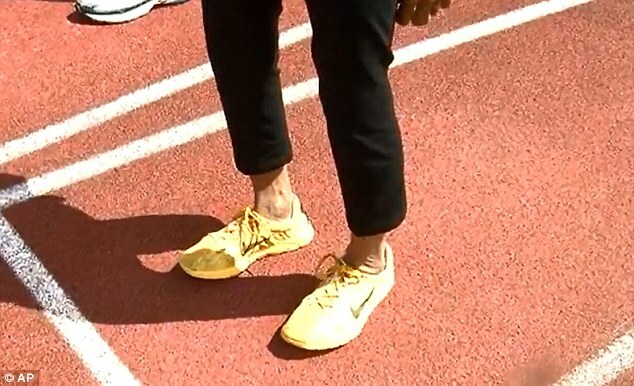 Wearing her favorite gold Nike sneakers and Lycras, the 4ft 6in, 83lb former factory worker raced along the track in temperatures topping 80 degrees Fahrenheit. When she reached the finish line spectators greeted her with a round of applause. Her coach and daughter, Shelley Kelling, also went to give her a big hug. 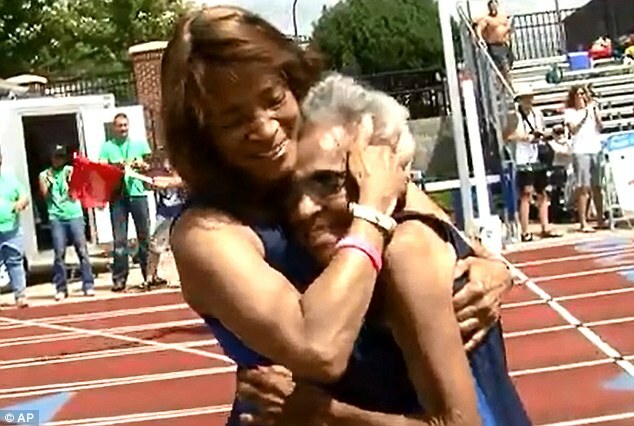 Although the great-great-grandmother finished last in the 100 meters, it is believed no woman her age has ever recorded a faster time in an internationally-certified race. It’s not the first record the senior has set. 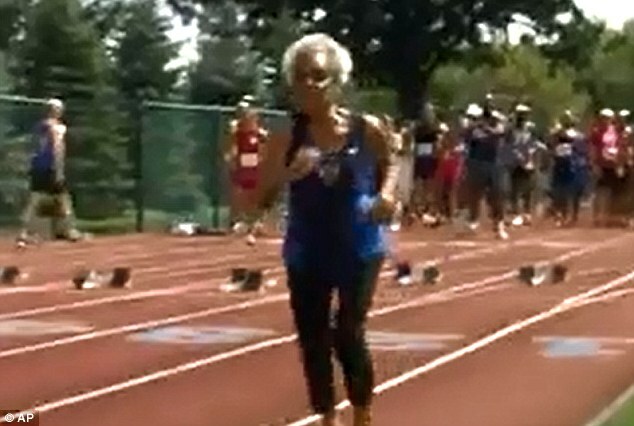 In 2011 Ms Keeling achieved a world best for her age group in the 60 meters with a time of 29.86 seconds on the track. She participated in the race alongside girls a quarter of her age. Ms Keeling, whose husband died of a heart attack at the age of 42, decided to take up running nearly 30 years ago. 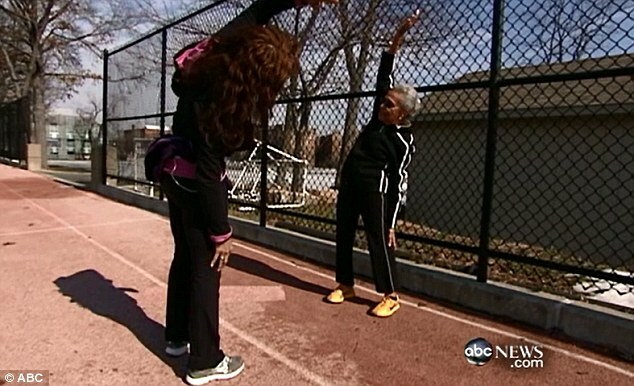 Her lawyer daughter, who coaches track and field at a nearby high school, convinced her to give it a try at the age of 67. 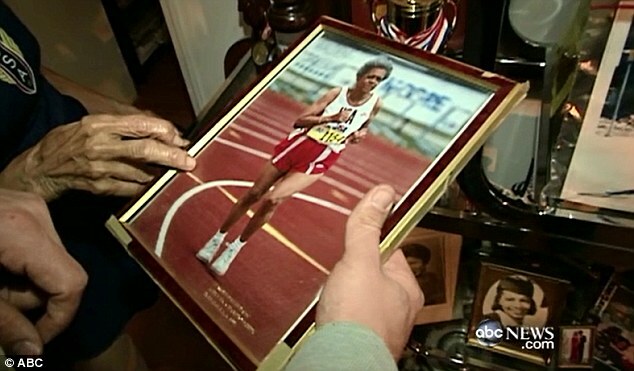 And after a life of sadness – she also lost two sons, Charles and Donald, to drug-related killings in 1979 and 1981 – the senior citizen found refuge in running. 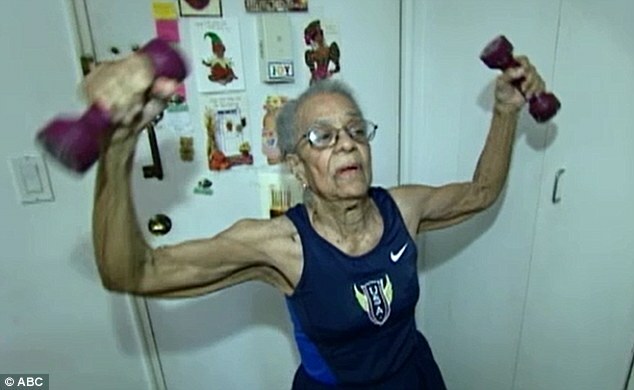 She trains in the corridors of her Bronx apartment block, lifts weights and cycles on an exercise bike. She also prefers to eat her evening meal – a hamburger, fish, or liver – for breakfast. ‘Gives me fuel for the day,’ she said. And her health regime is paying dividends – she takes just one prescription drug and could easily pass for a woman 20 years younger. 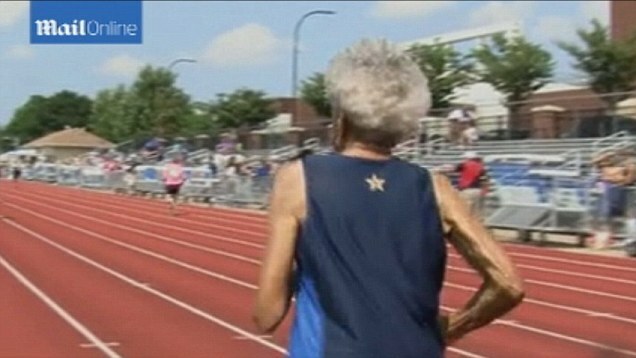 She is determined to keep running as long as possible, and to outlive her grandmother, who survived until the age of 104. ‘Every year I am going to keep doing what I am doing, and when running time comes, if I feel I am ready, I will go at it,’ she said. She turns 100 next May. This entry was posted in Uncategorized on August 20, 2014 by The Woman Hood.